By Rachel Held Evans, on December 23, 2014. I’m blogging through the lectionary this year, with an emphasis on the prophets this Advent season (See Advent 1, Advent 2, Advent 3), and today’s reading comes from Luke 1:39-56. In those days Mary set out and went with haste to a Judean town in the hill country, where she entered the house of Zechariah and greeted Elizabeth. When Elizabeth heard Mary’s greeting, the child leaped in her womb. And Elizabeth was filled with the Holy Spirit and exclaimed with a loud cry, “Blessed are you among women, and blessed is the fruit of your womb. And why has this happened to me, that the mother of my Lord comes to me? For as soon as I heard the sound of your greeting, the child in my womb leaped for joy. And blessed is she who believed that there would be a fulfillment of what was spoken to her by the Lord. When we talk about Mary and the Magnificat, the words we tend to use are words like surrender, obedience, and yieldedness. These are good words, and indeed they capture much of Mary’s posture in this powerful and venerated prayer. But we have to be careful of ascribing too much passivity to Mary’s role in the Advent story and in the life of Jesus. Mary did not simply submit to God. Mary dreamed with God, aligned her hopes, plans, and actions with God. Mary birthed God. Our Advent series thus far has focused on the importance of paying attention to the prophets. To pay attention to the prophets, we have learned, is to align our dreams with God’s dreams for the world and to live accordingly. It is to go all in, to bet everything that God’s justice will prevail and love will win. Perhaps more than any other New Testament character, Mary paid attention to the prophets. From the prophets she knew that God favors the marginalized over the powerful, the weak over the strong, the poor over the rich. She knew that God scatters the proud and lifts up the humble, that God never gives up, always surprises, and always shows up. 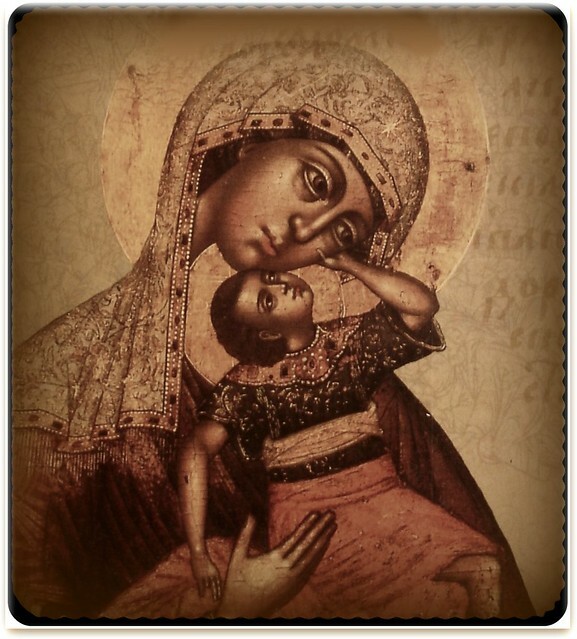 From the prophets, Mary knew that God could very well use someone like her—an unmarried teenage girl, a minority in an occupied territory at a turbulent time in history— to bring the Messiah into the world in the most unceremonious way: through water and womb, blood and labor pains, lullabies and gentle kisses and the helplessness of a baby’s cries. And so she said yes. She believed. The Magnificat is not simply an act of surrender. It is a creative act, a prophecy and declaration in which Mary adds her own voice, her own dreams and her own plans for this baby to the dreams and plans of God. And I suspect these dreams affected Mary's decisions as she raised Jesus and helped shaped Jesus into the person he would become. Mary is an example to all of us of how God not only challenges us to believe the impossible but also to participate in God’s creative work in the world and in our redemption. God is in the business of making all things new, and Advent reminds us that - impossibly, amazingly - this is a collaborative effort. So as we move from Advent to Christmas, I invite you to MAGNFIY this God who prizes the humble and fills the hungry. I invite you to go all in, to place your bets on a God invested in making justice roll down like waters and righteousness like an ever-flowing stream. I invite you to take action, to collaborate with God and God’s people in beating swords into plowshares and spears into pruning hooks. I invite you to believe, as Mary did, that God uses ordinary people to make God’s dreams for the world come true. For our entire Advent series, see Advent 1, Advent 2, and Advent 3.